Malcolm Timothy Gladwell is an English-born Canadian journalist, author, and speaker. He has been a staff writer for The New Yorker since 1996. He has written five books, The Tipping Point: How Little Things Can Make a Big Difference (2000), Blink: The Power of Thinking Without Thinking (2005), Outliers: The Story of Success (2008), What the Dog Saw: And Other Adventures (2009), a collection of his journalism, and David and Goliath: Underdogs, Misfits, and the Art of Battling Giants (2013). All five books were on The New York Times Best Seller list. He is also the host of the podcast Revisionist History. Success is not a random act. It arises out of a predictable and powerful set of circumstances and opportunities. 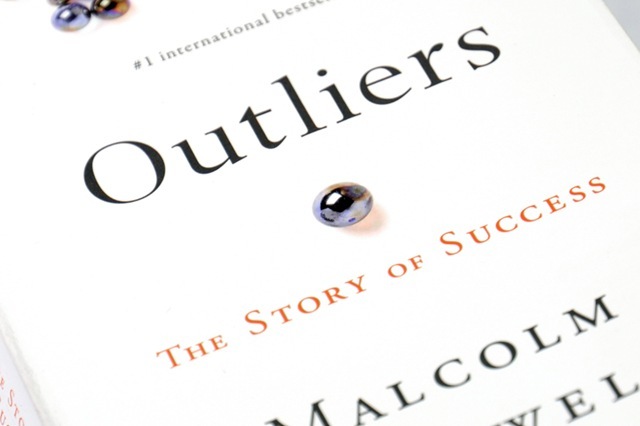 Malcolm Gladwell argues that the “self-made” success is a myth. He says that it has to do with your circumstances and the opportunities that were presented to you. Once you reach a certain level, increased abilities no longer help you succeed. For example: when a basketball player reaches a certain height a couple of more inches will not make a difference. At that point, other abilities and/or skills will come into play. Mastery demands around 10,000 hours of practice. The parents that you had and the type of parenting you received. How you were brought up can radically impact how successful you will become. Culture (where you came from) can bring successes or failures to your life. Recognize where you came from, how you were brought up, your own temperament, your flaws, goals, and skills. Look for and create opportunities based on this knowledge. In the back of my mind I always had a thought, and it was that successful people were more intelligent and driven than the rest of us. This book opened my mind and taught me that there are a lot of factors that come into play for the success of a person. There are things that we can’t control, but there are others that we can. My major takeaway from this book is to get to know yourself better and all the factors and circumstances that brought you to the life that you are currently living. Be objective and honest with yourself when you are doing this assessment. Acknowledge the bad decisions and habits that you have had throughout your life. @invarchitect I know why you love it there, bunch of good food!